Morgan was 10 years old the end of January 2006 when this article was written originally for our February newsletter. He was then anaphylactic to peanuts, tree nuts, sesame and shellfish. He is severely allergic to dogs, cats and other furry animals. He gets eczema from food dyes, has mild asthma and is allergic to grasses, weeds and trees. Where are your EpiPens® kept at school? Just in case if I have an allergic reaction at school, I can use them. They are not by my side in the school. Two are in the office – one to stay there and one to go out to the playground with the monitor. I don’t think that is the greatest place to put them though because they are locked away. I also have one in each of my classrooms. (Mom’s note: in 2006, it was not legal for Morgan to self-carry his EpiPens, therefore other arrangements had to be made. It wasn’t until 2007 that he began to self-carry). Do you trust that your teacher would know what to do if you were to have an allergic reaction? Do you trust the office staff to know what to do? Not really. We had a boy a little older than me that had an allergic reaction and they did not use his epinephrine. They thought he had the flu. He did not die thankfully. When you get older, do you plan on teaching your friends how to administer an EpiPen®? YES I do! So they know what is happening when I’m in shock and what to do. Usually one of my friends is close by at all times. What did you teach your Cub Scout Den about emergencies and food allergies? I taught them how to use the EpiPen® and when to use it. I taught them the process which is put the EpiPen® in my thigh, call 911. With the recent death of a girl dying after kissing a boy who had eaten peanut butter, what different behavior will you practice when you get older? I’m never going to date a girl who eats peanut butter all the time. It is just too dangerous. Will it be difficult to tell a girl what she can eat? No. Not necessarily. 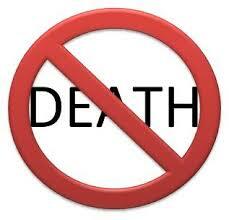 It won’t be that hard just because it is a situation between life and death. I don’t want to risk my life. Recently, my son, Morgan, and I spoke at a FARE Community Engagement Council event in Denver on “Preparing for and Going to College with Food Allergies.” It was a wonderful event with dozens of attendees – both parents and teens – managing food allergies. We shared first about what parents can do to prepare their child for college during grades K-12. You can read that blog post here. Then, we spoke about how to go to college with food allergies, and the necessary steps to find out the information about food allergy awareness at a school. I am frequently asked how to begin searching for a safe college when you/your child has food allergies and/or asthma. What questions do you ask when you visit a college? When should you ask these questions? It was very important for me to remember that my son was the one going to college, so he and I had several conversations prior to visiting any college about what he wanted to learn during a college visit. I asked him to develop a list of questions that he had for college officials about living arrangements, eating in the cafeteria and academic interests. We then compared our lists and came up with the following questions pertaining to the food allergies and asthma. Your list may also include specific academic interests. Are ingredients listed on all foods served in the cafeteria? If not, is there an app or a website that will have the ingredients? Is there a chef on site to take special orders? Are the cafeteria workers trained on food cross-contact? How many of your child’s allergens are regularly served? Can my child and I speak with a dining manager about my child’s needs? How old are the dorm buildings and cafeteria facilities? Has there been any water damage or flooding in the past? Are pets (such as dogs and cats or other emotional support animals) allowed in the dorms? Can the resident adviser be trained on the administration of an epinephrine auto-injector? Is stock epinephrine carried by security personnel on campus? Can roommates be selected to ensure no food allergens are in the dorm room? How is a 911 call handled on campus? Is food allowed in classrooms and lecture halls? What paperwork is necessary to complete for the Disability Services Office to provide accommodations? Yes, this is a long list of questions, yet you may have more depending upon your child’s allergies and needs. When do you ask these questions? I’d suggest first starting with the college website. If you go to the Dining Services page on the college’s website and find NOTHING about food allergies, that is your first clue that you may have an uphill battle. Schools that are aware of food allergies put that information on their website along with who to contact to ask questions. The Housing page on a college website will generally not have any information about food allergies, but will likely have a contact person for questions. We found that Disability Services website pages are usually geared more toward those with learning disabilities; however a few schools are starting to incorporate information about food allergies and what paperwork will be necessary. We waited until our son was accepted into his school of choice to begin specific conversations with Disability Services about our son’s situation. While a school should not deny admittance because of a disability, there’s no reason to give too much information prior to acceptance. We found it best to have specific appointments set up with the Housing Office and with Chefs in the Dining Hall when we visited a campus to learn more about how they managed students with food allergies. Prior to him being accepted, we only asked general questions about what accommodations could be expected for a student with food allergies and/or asthma. As for the Disability Services Office, we visited with a representative after my son was accepted to the school. We asked very specific questions about paperwork necessary for our son to receive accommodations. We found out that many schools will require that your child have recent testing confirming food allergies and asthma if specific accommodations are being requested. In other words, a skin prick test from 10 years ago was not going to suffice. A letter from our allergist delineated the specifics of what Morgan was going to need to safely attend college. The Disability Services office paperwork is best completed in the summer prior to the school year starting so that everything will be established once school starts. And remember that everything is completed and driven by your child once they are 18 years old. Schools expect your child to advocate for themselves. Most colleges in today’s environment have managed students with food allergies. That can be a good thing if your child expects to eat in the cafeteria. It can be a negative thing if the college expects your child to have allergies similar to other students they’ve encountered, and you want a different accommodation. 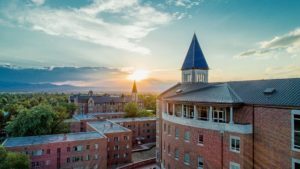 There are several other lists of colleges and their accommodations for students with celiac and/or food allergies that might be helpful. Of course, it’s always preferable to use these lists as a guide and to visit the college yourself to ask questions specific to your child’s needs. Allergic Living’s college list is here. FARE’s college list is here. I have recently begun speaking with local Colorado Springs, Colorado Allergists and their staff regarding the large number of teens and young adults who have died from anaphylaxis. I wrote an article for Allergic Living, Teens Speak Up About Averting Food Allergy Tragedies, which showed me that too many teens aren’t taking the precautions necessary to keep themselves safe; however, the teens did state that they listen to their parents and their doctors about food allergy information. In Dr. Ruchi Gupta’s newest survey of parents, which she titled, Parents in dark about using epinephrine for kids’ food allergies, she found that “Less than 70 percent of parents recalled their allergists explaining when to use epinephrine and less than 40 percent said the same of their pediatricians.” Therefore, I question whether teens and young adults are getting good information from their parents. Therefore, I felt it was time to bring this information to the attention of allergists in my area. Here is the checklist I’ve suggested for allergists to discuss with parents, kids, teens and young adults who have food allergies, EVERY TIME they see the patient. Similar to an asthma checklist, which my son completes each time he sees our allergist, this checklist would be given to the patient to complete and review the gaps in behavior that could potentially create a life threatening situation. A PDF version of this checklist is available here. From what I’ve found, allergists in my area are not currently reviewing these items with their food allergy patients. In an educated patient, the checklist could be reviewed quickly and rewarded with a high-five or fist bump! In patients who need more awareness, the allergist can remind the parent and child/teen or young adult which behaviors are risky and where to make changes. 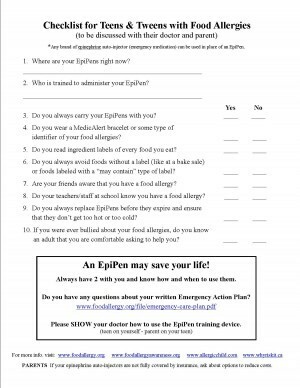 If a food allergy patient isn’t seen but once a year to get an EpiPen prescription refilled, then it is especially important for the physician to review these questions to ensure safety. I’m convinced this would begin to educate the patients and parents who so desperately need to hear from their doctors how to practice vigilance. Please FEEL FREE to share this with your allergist and/or pediatrician and help to save a life! Traditional Chinese Medicine: The “Cure” for Food Allergies? If you haven’t heard of Traditional Chinese Medicine, you’re in for a treat! And if you have, you know that Henry is the author of “Food Allergies: Traditional Chinese Medicine, Western Science, and the Search for a Cure”. Henry graciously offered to answer a few questions about this treatment option for eczema, food allergies, mast cells and even Eosinophilic Esophagitis! Henry, what made you interested in writing a book about Dr. Xiu-Min Li’s research regarding Traditional Chinese Medicine (TCM) and her search for a cure for food allergies? First of all, Nicole, thanks for giving me this opportunity to communicate with your readers. I hope they will find it informative. The six most obnoxious words in the English language are “as I say in my book” so at the expense of stealing my own thunder…. I met Dr. Li when I went up to her office at Mount Sinai at the suggestion of my cousin and co-author of an earlier book, Dr. Paul Ehrlich, a prominent pediatric allergist. We also had a new website, AsthmaAllergiesChildren.com, and he told me, “I have been practicing for over 30 years and this is the first thing that sounds new and hopeful to me.” So I met Dr. Li. When she showed me photographs of the dramatic changes her therapy had made on really bad atopic dermatitis, I knew something was up. I mean, these were bleeding, sores on the feet of a ten-year-old girl. Within a few months, the skin was clear and she was painting her nails. I have a daughter. That means something to me. How is Oral Immunotherapy (OIT) different from TCM? OIT, like all immunotherapy, works by essentially over-stimulating the part of the immune system that produces allergic antibodies—allergen-specific IgE—by feeding progressively larger doses of the allergen until it can’t keep up with demand, allowing the part that produces tolerogenic antibodies—IgG—to gain the upper hand. Instead of allergen-specific IgE occupying the receptors on mast cells and basophils, IgG starts to occupy them instead. Allergens that once triggered reactions by connecting with IgE on those cells are rendered harmless. 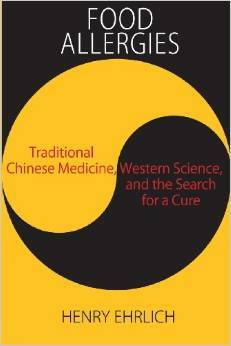 Traditional Chinese medicine as practiced by Dr. Li works on modulating the immune system. There are two kinds of helper cells involved, Th1, which helps fight infections, and Th2, which is associated with allergies. In a normal immune system, IgE is a tiny fraction of IgG. But for various reasons, Th2 and IgE gain a disproportionate share of immune response. Dr. Li’s therapies restore Th1 and Th2 to their natural equilibrium. Oh, and one thing I have to stress is that Dr. Li also treats digestion so that the gut has a better chance of breaking down allergenic proteins before they can be absorbed into the blood stream and find their way to different parts of the body. Let me add that immunotherapy and TCM are not competitive or mutually exclusive. TCM patients are also receiving OIT, just as they are receiving shots and sub-lingual immunotherapy. There’s no single therapy that will help every patient in the long run. How long has Traditional Chinese Medicine (TCM) been used by Dr. Li to treat patients for food allergies? Her private, independent clinic got started to treat recalcitrant eczema while she did more conventional research in her “day job”. However, in the mid-1990s, food allergy mothers she met at a fundraiser for the Jaffe Food Allergy Institute, where she was doing research, upon hearing of her success with eczema, told her their kids’ stories and she was so moved she set out trying to find ways to help, backed by Dr. Hugh Sampson, her boss. It was a very bold move. Dr. Li was trained in both western medicine and TCM. She looked to the classical TCM formulary for answers, and started to find them, starting with a treatment for intestinal parasites. It is important for your readers to understand that while Dr. Li is following all the NIH protocols for her investigational drugs, she is also allowed to use versions of these medicines as supplements in her clinic. Is she working on having fewer pills to take/teas to drink as part of her protocol? Yes, Nicole. One of the problems with these treatments is that because they are derived from plants, therapeutic doses require lots and lots for prolonged periods. Compliance is a challenge for all of us, whether we have diabetes, asthma, or even just take a low-dose aspirin (as I’m supposed to do—don’t tell my doctor). Dr. Li works with her own lab and scientists in China to refine the medicines and reduce the burden on patients. Her food allergy herbal formula-2 had a dosage of 10 pills, three times a day for a phase-2 trial. Lots of subjects had trouble. The next trial will use B-FAHF-2–refined with butanol, a form of alcohol—that will take the dose down to six or eight pills a day total. Much easier. Have there been any patients on TCM long enough to say that their immune system has been remodeled, and they are no longer allergic to foods? Yes there have, although most of her patients have complex co-morbidities—and it’s a work in progress for many of them. I suggest your readers also check out an article published last year in a Canadian journal about three cases of frequent severe food anaphylaxis to see how dramatic the changes can be. In a video at last year’s Food Allergy Bloggers Conference, you and Dr. Li were interviewed for a podcast. Dr. Li mentioned using TCM for patients with Mast Cell Activation Disorder (MCAD). Has she had any success with patients with this condition? In the new book that Dr. Li and I have co-written, there is case of this, also called mast cell activation syndrome. Just so you know, MCAD or MCAS for mast cell activation syndrome is disease in which mast cell degranulation is triggered by all kinds of things, from foods, to exercise, to heat…really lots of things. It didn’t even have a name till 2010 or a practice parameter till 2011. It can be IgE mediated or not. We have one whole chapter in our book devoted to one case of a girl of 14 who suffered for 5 years without a diagnosis even, and almost died. Dr. Anne Maitland, a colleague of Dr. Li’s, is gaining a reputation as an MCAS specialist, and the two of them are doing great work. The case we write about it the book will tug your heart strings. What about children with Eosinophilic Esophagitis (EoE) – are they able to tolerate the herbs? Have any children been ‘cured’ of their EoE? The short answers are “yes” and “yes”. In my first book I have a case of a boy who was successfully treated, and according to his mother now has the enviable position of being able to eat pizza every day with his friends. Before he couldn’t tolerate dairy. Let me add a key point here—all Dr. Li’s treatments are highly individualized. You don’t go in and get the food allergy pill, or the asthma pill, or the EoE pill. You get a combination of things that help with the multiple organ systems that are involved. The herbs overlap, and so do their effects. And one more critical point: Dr. Li is a full-time scientist and a part-time healer. The scope and ambition of her research is breathtaking. Her chemists and biologists love working for her. A month doesn’t go by when I don’t hear about something new emanating from her lab or suggested by researchers elsewhere who have been following her work. Tell us about the new book you are writing – when should we expect it? What’s the topic? Think The Godfather and The Godfather Part 2, where the sequel is as good as the original. This book updates the food allergy research from the last book but also goes into greater detail on ASHMI—anti-asthma herbal medical intervention, which I only wrote about briefly the last time. But it’s huge for people with this condition. It also goes into the atopic dermatitis treatment at length, Crohn’s Disease, MCAS, and some other things. I wrote the first one the way I did because I was learning the science on the fly, but this story is much bigger than any single allergic disease. Dr. Li is getting an award next year from the Future of Health Technology Institute, which is normally very high-tech and where the people obviously see this as very important for the way we understand and treat disease. The new book will be out some time in 2016. After writing two books in three years, don’t expect a third one any time soon, although I know if there is it will be better than Godfather Part 3. For more information, please also see Henry’s book, Asthma Allergies Children: A Parent’s Guide and the Facebook page, Chinese Herbs for Allergies. Henry Ehrlich is the editor of asthmaallergieschildren.com and co-author of Asthma Allergies Children: a parent’s guide and half a dozen other books. He was a long-time professional speechwriter, with three grown children and one granddaughter. Henry at the 2014 Food Allergy Bloggers Conference speaking about Chinese Herbs for Allergies along with Dr. Li. How Can A Body Heal Itself? There is an abundance of research trying to find a cure for food allergies. Because of the stomach issues in our family, mast cell disorders and EoE, we have chosen to seek out different healing arenas than eating what we’re allergic to. 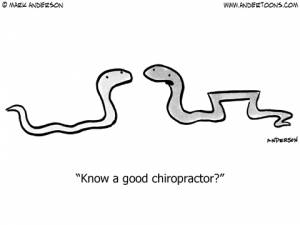 About a year ago I began seeing a chiropractor that practices Network Spinal Analysis (NSA). For those of you who have read my blog for a while, you know that our family is very open to new modalities of healing AND we still see medical doctors too! We have spent a lot of money seeing NAET specialists (see my write up on that here toward the bottom of the page), acupuncturists, chiropractors, Sacral Occipital Therapists, massage therapists…the list goes on and on. Many of these practitioners have provided temporary relief, at best. And the abundance of them have served only to lighten our wallet! I know that my son needs to have medication to manage his ocular allergies, his asthma and his nasal allergies; however, I’m always on the lookout for something that can assist his body to truly heal from these maladies. My daughter and I have a mast cell disorder, and I was having severe lower back pain that wasn’t being helped by traditional chiropractic care. I decided to try something new and be the guinea pig in the family. It turns out that the mast cell disorder and the back pain were related, according to my new NSA chiropractic doctor. The more allergic reactions I was having, the more mast cell proliferation occurred. And the more mast cells, the more my back hurt. It was as if my spine was shutting down my entire nervous system in an attempt to protect me from myself! Network Spinal Analysis works to utilize the energy in the spine to realign itself without the standard “cracking” of a chiropractic adjustment. The practitioner helps to point out where the energy is blocked, and gets the central nervous system to pay attention in an entirely new way. New neural pathways are opened up, and more energy is brought in to the spine, so that healing can occur. Within a few months, my back pain ceased, and almost a year later, my mast cells are beginning to behave better too. Last summer, my son, Morgan, began seeing this NSA chiropractic doctor and almost immediately was able to go off of his Pulmicort steroid. I wasn’t sure that was a good idea until we went in to see the allergist and all of his breathing tests were normal!! He has had to use a rescue inhaler only once since then for a few days during a respiratory infection. He’s had no chest tightness, and feels great. I really believe there is something to raising the energy in the body to create healing. Let’s face it, all the antihistamines and steroids are doing is helping with the symptoms. I really want my body, and my son’s body, to begin healing. Since Morgan and I had such good results with this new modality, my husband and daughter have also begun receiving entrainments (what the doctor calls the session). They too have had remarkable results with less body aches, better digestion and overall energy becoming higher. There’s another line of thinking about accessing a higher energy through meditation to create healing. Dr. Joe Dispenza has written a book, “You Are the Placebo” that asks, “Is it possible to heal by thought alone—without drugs or surgery? The truth is that it happens more often than you might expect.” His book details scientific research where people have healed themselves, and where others have made themselves sick, simply by their thoughts and beliefs. I know that my mind is certainly powerful enough to create anxiety symptoms in my body. It’s powerful enough to create a stomach ache out of fear or worry. It’s also powerful enough to boost up my energy and overall capabilities to handle a crisis of one of my children, regardless of how I’m feeling physically in the moment. I have begun to sit in meditation daily for the last 4 weeks, based upon the guided meditation provided in the book. I’ve already seen and felt a difference. I’ve been able to decrease the amount of medication that I take for my mast cell disorder! It’s mind blowing stuff, when you really think about it. Are our minds really powerful enough to heal our bodies? I am becoming a believer! Food Allergy, Colds & Other Nasty Bugs! When our son, Morgan, was 3 weeks old he was diagnosed with RSV – Respiratory Synctial Virus. It was a frightening illness that landed him in the hospital with oxygen necessary around the clock and nebulizer treatments every 4 hours. The illness lasted for three VERY LONG weeks. Thankfully, Morgan fought through the illness and still gained weight like a champ! Nine months after this occurrence, Morgan touched a peanut butter sandwich, reacted with hives, and we were baptized into the food allergy world. At 18 months old, Morgan got a horrible cold that got considerably worse during a blizzard that we had. (We are in Colorado, so blizzards aren’t uncommon occurrences). My mother was unable to get home from work, and stayed at our house that night. All through the night, I got up to check on Morgan and his breathing. I knew by the early morning hours that he needed to get to at least get to our doctor’s office. My Mother thought I was crazy. She was accustomed to letting kids just battle through illnesses. I had an instinct that something was clearly not right, and listening to my Mother could have had disastrous consequences. I got into the doctor’s office and we were able to thwart off the need for oxygen thankfully. Morgan was given a large prescription for nebulized albuterol to have on hand for any future similar occurrences. Morgan continued to have bronchial spasms every time he got a cold, which was eventually diagnosed as mild asthma at about age 3. The impact of RSV, food allergies and asthma was much more problematic for me – aka Dr. Mom. I was forever scared that every sniffle was another major illness requiring an emergency room run. It was difficult to know when to get him immediately into the doctor and when to allow a virus to run its course. Morgan also had strange reactions to illnesses. He would break out in hives during a virus, for example. Or he would be the only family member who didn’t get sick when everyone else was sharing the germs. I don’t understand everything with the immune system, yet I have learned that children with food allergies just don’t respond the same to illness that other children do. Either Morgan’s system goes way overboard, or he doesn’t react at all. In the elementary school years, Morgan would want to stay home upon the first touch of an illness. Maybe he felt better at home – almost like he didn’t trust what his body was going to do and he’d rather be at home when something happens! Children at this age are sick so frequently, but I really felt better being able to watch over him. As he aged into high school, he was more able to handle illness and go to school when he had a cold. And I’ve learned how to let go a little more and realize that not everything necessitates Dr. Mom’s hovering presence! This past weekend was another one of those scary illness times. Morgan had been at a Speech/Debate tournament all afternoon Friday and into the evening until 11:30pm. He was up very early and back at the tournament by 7:30am Saturday morning. I didn’t see him Friday night or Saturday morning, but I had a sense that he was going to be getting sick. Call it Mom’s intuition. He’s been cramming a lot of activities into his schedule during his last semester of high school, and sleep is frequently missed. He had 6 rounds in the tournament and he won every round, which no one else was able to do. This means that he will be going to the National Speech/Debate tournament in June. He was thrilled with his accomplishment and must have let out a large sigh of relief. Then he called me and said that he was so sick that he didn’t think he could drive home. He had chills so bad that his teeth were chattering. I had no idea what illness he could have that was causing such dramatic symptoms so quickly! I drove over to the tournament, which was thankfully in our same city. My husband talked to Morgan about coming home and not staying for the awards’ ceremony. That was a big disappointment for him since he worked so hard, but we needed to get an assessment of what was going on and we wanted to keep the other participants healthy. We took him to an Urgent Care facility. The doctor determined that it was possibly Strep Throat. Since Morgan had two college scholarship interviews occurring all day Monday (about 36 hours later! ), we asked the doctor to put him on an antibiotic immediately even though the Strep Test came back negative. The doctor understood the situation, and graciously agreed! Morgan slept for 16 hours, got up the next day feeling a little sluggish but knew that he was on the mend. The Strep Test never did show as positive, but the antibiotics worked and he was able to make it to the Scholarship Interviews early Monday morning. I’m sure we will one day be able to laugh about this past weekend, but it was harrowing to watch him so sick and pale. We can add another crazy immune response to Morgan’s list of odd things – he never tests positive for a strep test even though he has the illness! Dr. Hemant Sharma is the Associate Chief of the Division of Allergy and Immunology at Children’s National Medical Center in Washington, D.C. 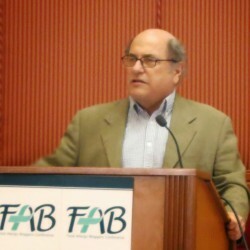 He is also the Director of the Food Allergy Program and site director for the National Institutes of Health Allergy and Immunology fellowship program. Dr. Sharma obtained his medical degree from Columbia University, and completed his pediatric residency and chief residency at Duke University. He trained in allergy and immunology at Johns Hopkins, where he also completed a degree in clinical epidemiology. He is a regular contributor to a food allergy column in Allergic Living magazine and recently co-edited the “Food Allergy in Children” series for Pediatric Clinics of North America. Dr. Sharma, thank you for helping us to learn more about asthma and food allergies. Dr. Ruchi Gupta’s recent research found that nearly 8% of US children under 18 have food allergies. Do you know of recent research that has determined how many children with food allergies also have asthma? In your practice, how many children have both? Food allergies and asthma often do occur together. Prior studies suggest that more than a third of children with food allergies also have asthma, and up to 8% of asthmatic children have a food allergy. It is not uncommon for us to see something called the “atopic (or allergic) march” in children, where they start out in infancy with food allergy and then go on to develop asthma and hay fever later in childhood. 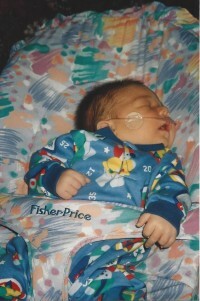 My son had Respiratory Syncytial Virus (RSV) at 3 weeks old. We heard that this would make him more likely to have asthma. Is this true? Is there any relationship between RSV and food allergies? RSV infection in infancy has been shown to be associated with a higher chance of developing asthma later in childhood. Interestingly, wheezing with rhinovirus (the common cold virus) in early childhood is actually a much stronger risk factor for later asthma than RSV. It’s not entirely clear if these viruses cause asthma or are simply predictors of childhood asthma. There is not any evidence for a connection between RSV and food allergy. Is asthma the same as “reactive airways”? Is it medicated the same? The term “reactive airways” is often used by health care providers to describe wheezing in early childhood, when it may not yet be certain whether that wheezing will resolve over time or develop into chronic asthma. One of the hallmarks of asthma is reactivity or “hyper responsiveness” to triggers, which can lead to tightening around the airways during a flare-up. Both “reactive airways” and asthma may be treated with the same medications, for example bronchodilators like albuterol, which help relieve this tightening around the airways. Is there a different protocol for your patients who have just food allergies versus those who have both food allergies and asthma? How about children who have the atopic trifecta: food allergies, asthma and eczema? The management of food allergies is similar whether a child has food allergies alone, or accompanying asthma and/or eczema. Food allergen triggers should be avoided, and in some cases, this may help to improve eczema control as well. In addition, emergency medications to treat food-allergic reactions should be available at all times, including epinephrine, antihistamine, and, if a child has asthma, albuterol. For children who have both food allergy and asthma, asthma symptoms might certainly be part of a food-allergic reaction, but they are usually not the only symptom observed. My son has severe peanut & tree nut allergy – among several other foods – and mild asthma. I’ve read that two of the risk factors for fatal anaphylaxis are peanut or tree nut allergy and asthma. (The third being a delay in the administration of epinephrine). Why are peanut/nut allergy and asthma implicated with this higher risk of a fatality? What should my son be doing to mitigate this risk? Certain foods, like peanuts and tree nuts, have been shown to be associated with a higher risk of fatal reactions. The reasons are not entirely understood, but likely are related to unique biochemical properties of these allergens. It is also important to note that fatal reactions have occurred to many foods other than nuts. Asthma is another risk factor for fatal food allergy reactions. This might be explained by delayed use of epinephrine since people with asthma might often reach first for their inhaler when they are experiencing breathing difficulty, and overlook other signs of anaphylaxis. For patients with both food allergy and asthma who develop abrupt respiratory symptoms, it’s advised they assess whether other symptoms of anaphylaxis are being experienced, and if so treat immediately with epinephrine. For years we thought that my son had outgrown his asthma. When we went to National Jewish Hospital a year ago, he had a Nitric Oxide test that our local allergist wasn’t able to administer in her office. We then found out he had likely had mild asthma all along and had gotten accustomed to a tight feeling in his chest. Our allergist’s testing methods weren’t refined enough to pick up the problem, and my son didn’t know he was having difficulties. Should we parents be looking for certain signs of asthma if our children have other allergy issues? The most commonly used test to evaluate lung function in asthma is spirometry. This form of lung function testing measures obstruction to air flow, usually before and after receiving a bronchodilator medicine, like albuterol. Nitric oxide testing, instead of measuring obstruction, detects airway inflammation, which might be present in uncontrolled asthma. While this test may provide useful information in some cases, it cannot by itself diagnose asthma, and is not a test that needs to be done for every child with asthma. In fact, studies have not shown that using nitric oxide testing helps to improve asthma control, beyond relying on a thorough assessment of symptom frequency, need for albuterol and spirometry results. There is more research recently to find a cure for food allergies. I’ve read that asthma kills 9 persons a day sadly, in the USA alone. What research is there to find a cure for asthma? Do you see any great new asthma medications on the horizon? Research is also under way to identify new treatments for asthma. Omalizumab (Xolair) is an example of a new asthma medication that has helped patients with severe allergic asthma, who failed to respond to other asthma treatments. It functions by blocking the binding of the IgE antibody. This medication is also being studied for potential use in food allergy.